18K Gold filigree earrings "AURORA VERDE"
18K Gold filigree earrings "SOPHISTICATED"
Gold filigree earrings "COROLLE BLU"
18K Gold filigree earrings "GAUDI'"
18K Gold filigree earrings "SCIA BLU"
18K Gold filigree earrings "AURORA BOREALE"
18K Gold filigree pendant "LUCE DI GIADA"
18K Gold filigree ring "LUCE VERDE"
Rings There are 10 products. Sardinian filigree ring with turquoise, emeralds and garnets. Gold 18K. The conversion table will help you to determinate your ring size if you are not sure what it is. 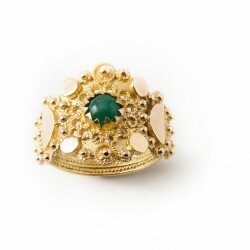 18K gold ring "OGLIASTRA SOLARE"
Sardinian filigree ring with emerald. Gold 18K. The conversion table will help you to determinate your ring size if you are not sure what it is. 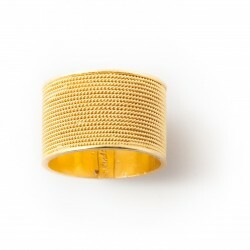 Band filigree ring in Gold 18K The conversion table will help you to determinate your ring size if you are not sure what it is. 18K Gold filigree ring "CESTINO"
18K Gold filigree ring The conversion table will help you to determinate your ring size if you are not sure what it is. 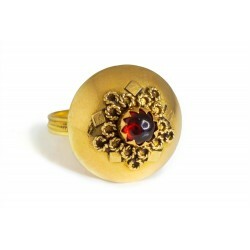 18K Gold filigree ring "MELOGRANO"
18K Gold filigree ring with Garnet cabochon The conversion table will help you to determinate your ring size if you are not sure what it is. 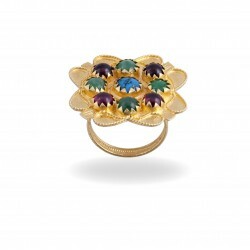 18K Gold filigree ring "ETRUSCO"
18K Gold filigree ring with Emerald cabochon The conversion table will help you to determinate your ring size if you are not sure what it is. 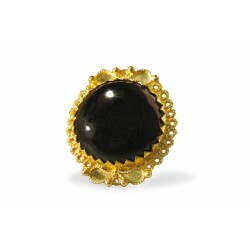 18K Gold filigree ring "FIABA"
18K Gold filigree ring with Onyx The conversion table will help you to determinate your ring size if you are not sure what it is. 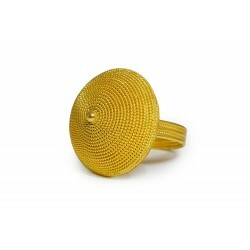 18K Gold filigree ring "ALI DI FARFALLA"
18K Gold filigree ring "FEDE SARDA"
18K Gold sardinian filigree ring The conversion table will help you to determinate your ring size if you are not sure what it is. 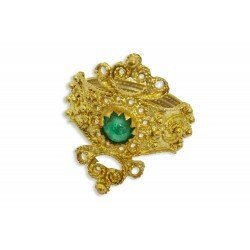 18K gold filigree ring with Jade and Mother of Pearls The conversion table will help you to determinate your ring size if you are not sure what it is.